You are here: Home › Blog › Company News › Eco Aware › Products › At Last! 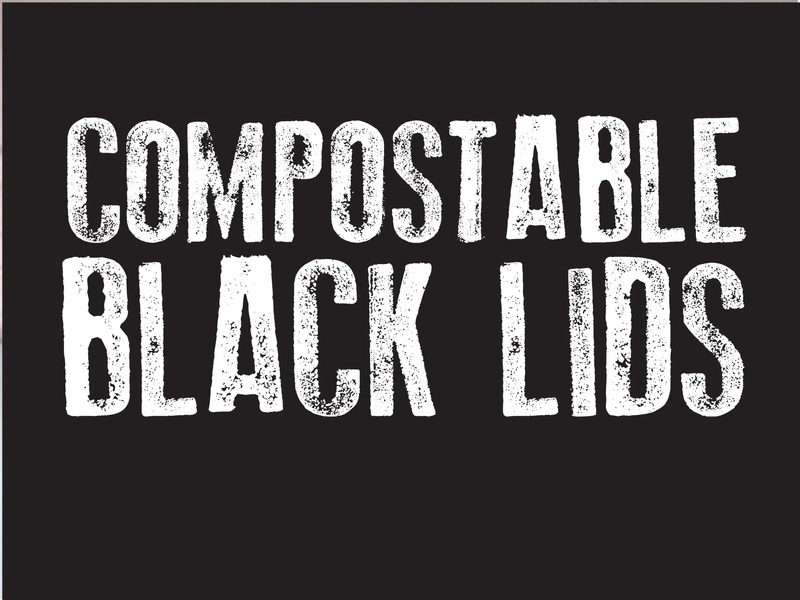 Ireland’s First Compostable Black Lids!! 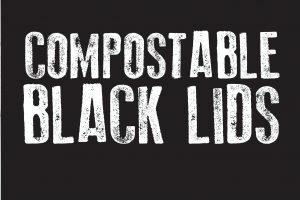 We are thrilled to announce the impending arrival to our certified compostable foodservice packaging collection – Certified Compostable Black Hot Cup Lids. 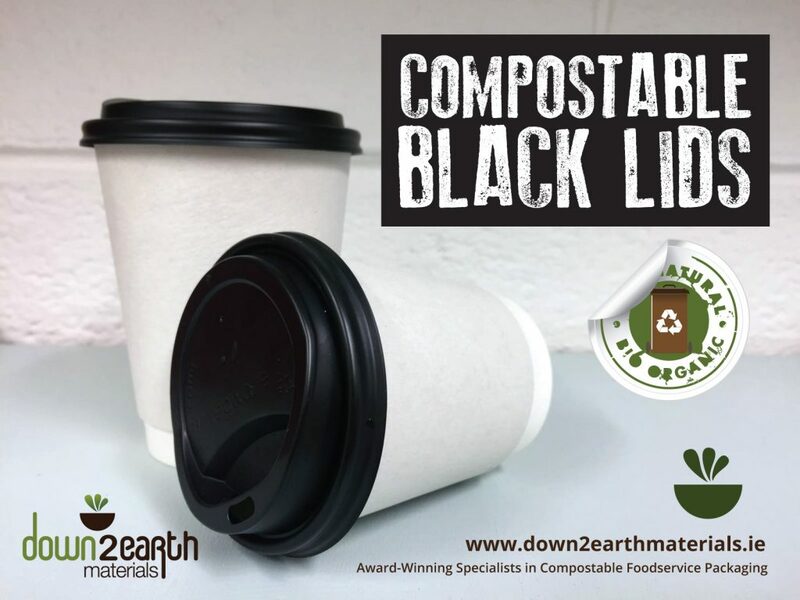 It’s one of the most sought-after products in the world of foodservice packaging and we are thrilled to be able to bring the VERY FIRST CERTIFIED COMPOSTABLE BLACK HOT CUP LID TO IRELAND. As always, these lids are made from plants, not oil, so have a much lower carbon footprint. In fact, CPLA – the high heat PLA they are made from contains 62% less embodied carbon than plastic. After use, rather than clogging up landfill, they can be recycled together with food waste, turning into compost in under 12 weeks.